Poschner was born in Dumitra, Romania - a country from which in 1974, at the age of five, his family fled to escape the communist regime and moved abroad to Bietigheim-Bissingen, West Germany. Poschner started playing football at the age of nine with SpVgg Bissingen. At 13, VfB Stuttgart spotted him playing at a talent scouting event organised by the Württemberg Football Association, and e began his professional career in 1987–88 with the club. He played three seasons with little impact in the first team (an average of 15 Bundesliga appearances) due to intense competition in his position - especially from players like Jürgen Hartmann, Maurizio Gaudino, and Karl Allgöwer. As many players left the club, including Rainer Schütterle, Michael Schröder and Ásgeir Sigurvinsson, Poschner left in 1990. He emergeed as a top flight player with Borussia Dortmund, forming a solid partnership with Michael Rummenigge and Michael Zorc. He would score 14 league goals from 1990 to 1994 and lost, for the second time, the UEFA Cup - the first time, with Stuttgart, he was a spectator. He returned to Stuttgart for four and a half additional campaigns, helping the side win the 1997 edition of the DFB-Pokal and reach the final of the 1998 UEFA Cup Winner's Cup - a final in which he was sent off. 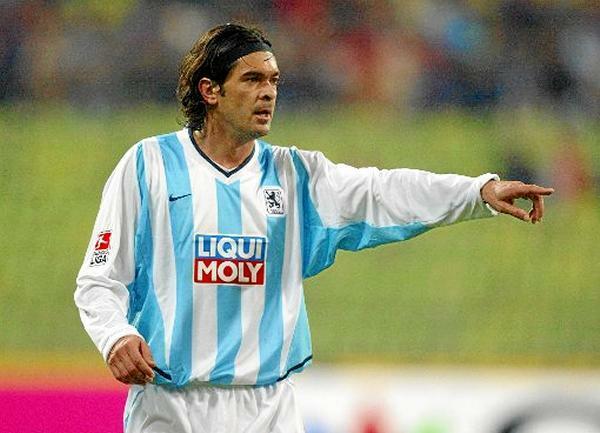 However, he would soon be displaced by Hungarian player Krisztián Lisztes - who was seven years younger, and would move to Venezia in Italy in January 1999. However, in his first game, he suffered a metatarsal fracture and therefore didn't play for the club that season. Six months later, however, he would move to Spain, signing for Rayo Vallecano in 1999. In the 1999-00 season, he helped Rayo to its best-ever classification in La Liga (9th), and the club was eventually awarded a place in European competition via the Fair Play award, after which it reached the quarter-finals with the midfielder being an important element. He subsequently played for Rapid Wien, Polideportivo Ejido and 1860 München, before retiring at the age of almost 35. Since then, he has worked in various roles. He started out as a player scout and consultant, especially scouting Bundesliga players such as Ewerthon and Marko Babić. Between 2009 and 2010, he went from being Real Zaragoza's external consultant to their general manager, and signed Jermaine Pennant, Ikechukwu Uche and Juan Pablo Carrizo for the club. Between 2014-15 he worked for previous club 1860 München in a sports directorial capacity, succeeding Florian Hinterberger. However, poor performances led the second division side to relieve him of his duties.